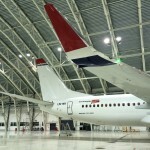 The design of fire protection for aircraft hangars can be done in many different ways. 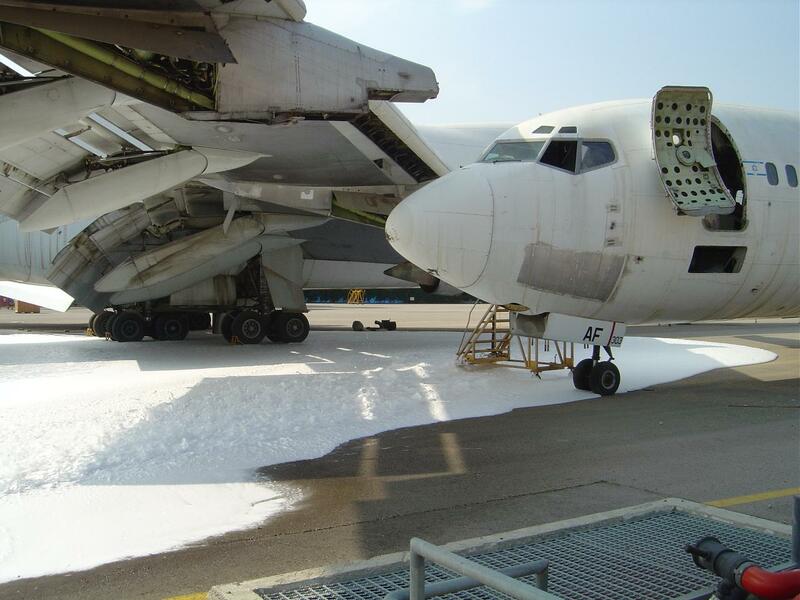 The first alternative is to protect the area with high expansion foam which is an effective extinguishing system that fills the hangar with foam within a few minutes. This system, however, has strict requirements regarding the evacuation of personnel before activation of the extinguishing system. 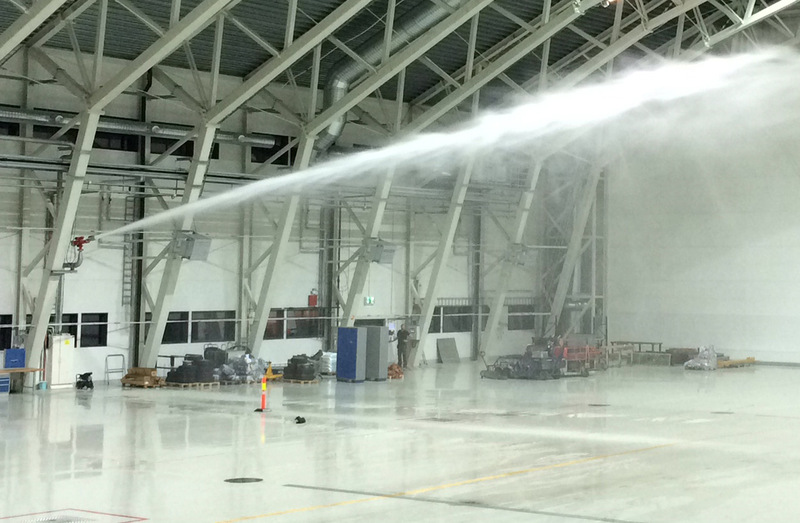 The other alternative is to protect the hangar with fire water monitors. 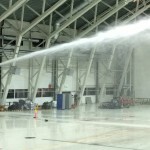 In this way you get an instantaneous, directed firefighting effort for the hanger floor as well as above and below the aircraft or aircrafts in question. For this operation, the best choice is the use of electrically operated monitors or water oscillation monitors. 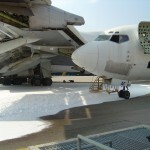 The surfaces of the hangars are normally very large and therefore requires large capacity fire extinguishing systems. 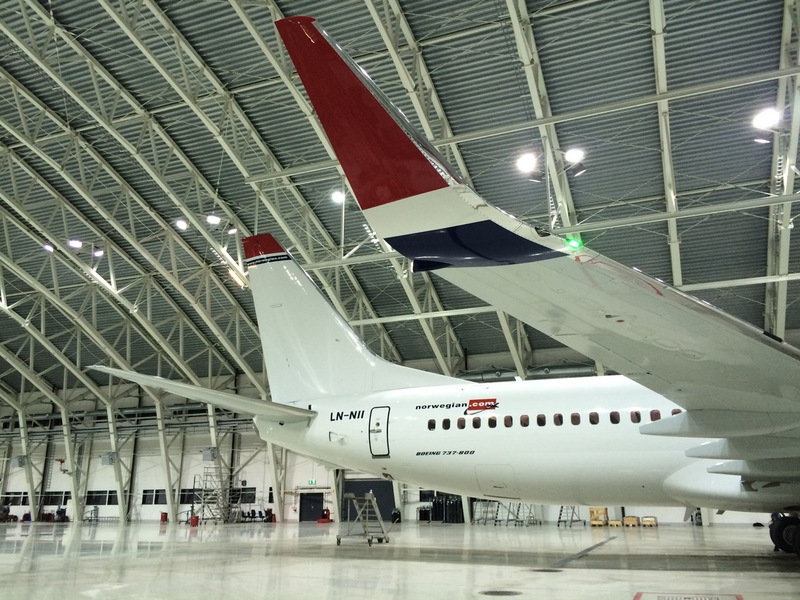 It is also important that the extinguishing system has a short response time between fire detection and the start of extinguishing effort since the financial implications of a fire in a hangar can be very severe. Incendium recommends using reliable detection systems with fast response times such as a sampling system or flame detectors in combination with smoke detectors.